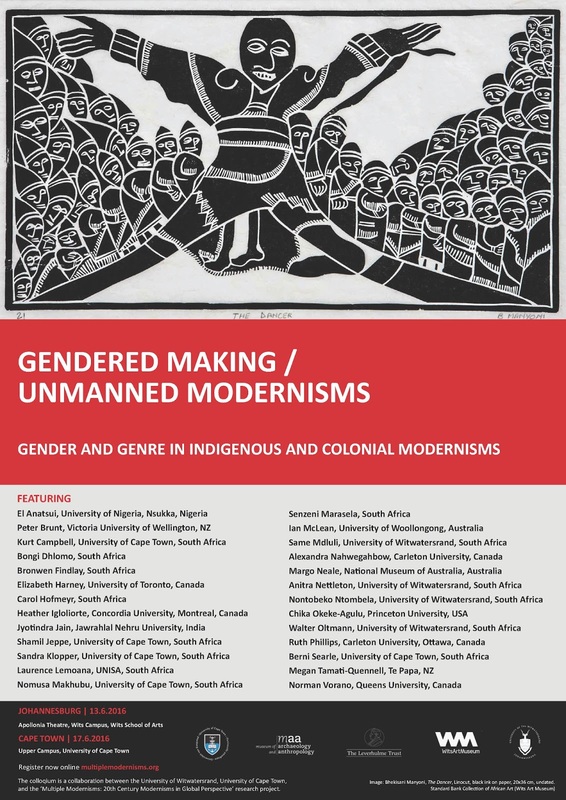 On June 13 and 17, the Multiple Modernisms Project (MMP) to which I belong will have its final symposium, respectively at the University of the Witwatersrand, Johannesburg and the University of Cape Town. At the Wits, the program is coordinated by Anitra Nettleton now emeritus professor and art historian at the Wits School of Arts; and at UCT, the art historian and depty Vice Chancellor, Sandra Klopper is the host. Nettleton and Klopper are part of the MMP. Previous symposia of the MMP have taken place at the National Gallery of Canada, Ottawa (2012); Museum of Archaeology and Anthropology, Cambridge University, UK (2013); and Museum of New Zealand Te Papa Tongarewa, Wellington, New Zealand (2014); in addition to a closed workshop at Princeton University (2015). The first two volumes originating from the Ottawa and Cambridge events are in preparing for publication by Duke University Press. A highlight of the Cape Town symposium will be my public conversation with El Anatsui who, by the way, will be receiving an honorary doctorate degree from UCT on June 14! Actually UCT--arguably Africa's best university, is doing something noteworthy for contemporary African art: last year it also awarded an honorary degree to Okwui Enwezor.